Our Mayor Elect, Roberto Bratina, is very lovingly referred to as the Brat. 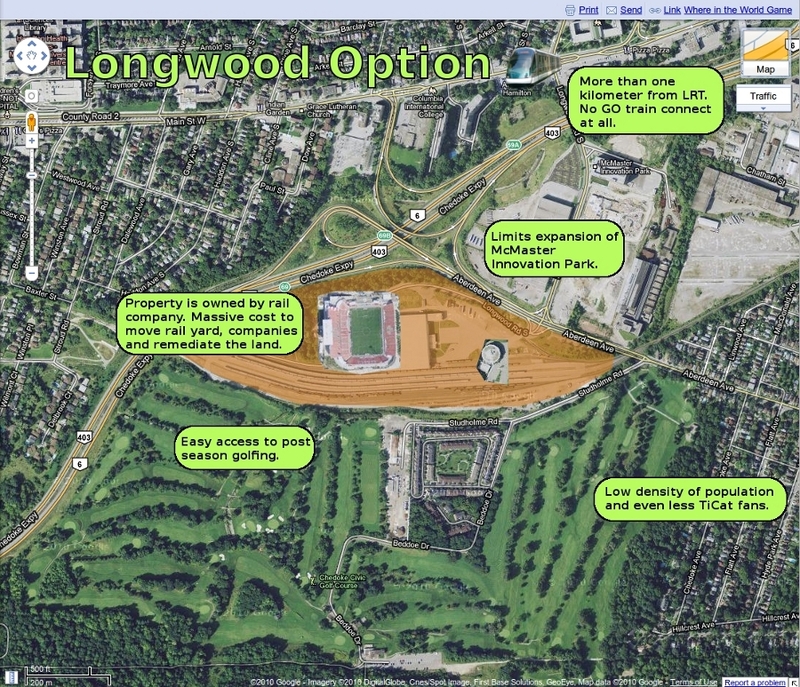 I was listening to the Brat on CHCH TVs wonderful website and he said that other TiCat stadium sites could still be considered if Longwood and Aberdeen does not work out. There is a very public drop dead date of 1-Feb-2011, at which point other municipalities will be in the running. The Brat’s reasoning is sound. If other cities are going to start scouting sites (Oshawa, Mississauga etc) then why can’t Hamilton? So if we are still gonna build a house for TiCats then lets build it somewhere less worse than Long and Abbo or Confederation park. I am of the personal opinion that West Harbour should be for housing and more housing. 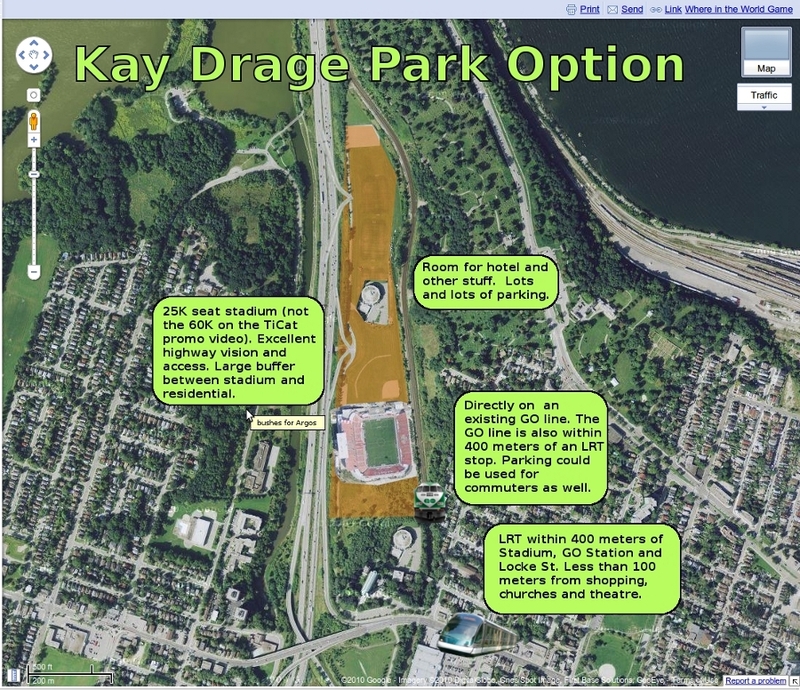 I don’t like lists and I like playing with GIMP, so here is my pictoral pitch for Kay Drage Park.